Doomben this week and a marathon ten – yes 10 - race program is set down for decision. Will we race – or will we not race? That is the question! The track is rated “HEAVY” (Thursday afternoon) and the rail will be 0.5 metres out the entire course this weekend. There is a likely chance of rain and wet weather from Thursday through to Saturday which will probably mean that, even if we race, there will be lots of scratchings as the meeting approaches. So, again, will we race? I think that we may get on with it and see some racing in South East Queensland after a week of abandonments due to the heavy tracks and rain. I assume there will be many jockeys sweating it out in the saunas around the place over the coming days to make weight after such a long lay off! Anyway, it is time – ten races – a quick review – and let’s see what we can come up with! Small field for the two-year-old runners to start the day! Rob Heathcote’s runner Guntantes (1) looks a ready-made runner after a solid win at Doomben on debut. Dale Smith who keeps on riding winners since his move to Brisbane rode this Rothesay colt in the debut and stays on board for his second start. He is drawn handy and should be the one to beat. David Vandyke sends out Okeechobee (8) for her maiden start with Jeff Lloyd aboard. She won a trial at her home track in nice fashion and could be the testing material. This Sebring filly has been sensationally backed in early markets firming from $5 to $3. Buckets of Pride (6), from the Chris Munce team, has drawn barrier 7 and Ryan Wiggins is aboard. She was flying home and raced greenly in the straight on debut when a gallant second. I think with the step up in distance this weekend she will be motoring home again. The Edmonds Racing stables are having some luck interstate but seem to be missing out here in Brisbane. Maybe this weekend their fortunes will turn, and it may start here with From Within (5) who they have lining up here looking for her fourth win in a row. The formidable duo of Toby Edmonds and Jeff Lloyd unite again looking for another win! Rex Lipp trains Our Beebee (7) who did not fire last preparation. I have always thought she is a nice type. She probably deserves some respect here resuming from a spell. She has a habit of getting back in her races and flying home. There is some genuine speed in the race so the conditions should suit her. Hearts Lifted (10) resumes here for Michael Costa on the Gold Coast. This mare has solid form on wet tracks and her recent trial at Doomben looked like a nice effort for this first up assignment. She may lead of take a sit off the leaders – but rest assured she will be in the finish! Not a race I get keen on – this is hard! Let’s go with the Peter & Will Hulbert trained Paper Trade (12). He is only lightly raced and having his third start for the stable. I just think now he gets onto a soft track we will see the best of him this weekend. Matthew McGillivray rides for team Hulbert and he does have a good strike rate for this stable. Sister Patti (5) is trained by Les Ross. She thrives on heavy tracks. Clayton Gallagher is aboard, and his three kilogram will come in handy on this wet track. Fomo (2) is a Ben Currie runner who won last start at Toowoomba on a heavy track. He steps up in distance and will probably race in a forward position with the help of the claim for apprentice Michael Murphy. As for the rest – take your pick! 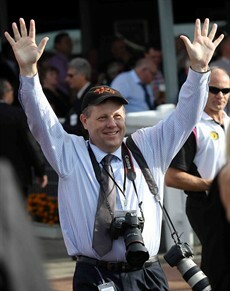 I am going to tip the Rob Heathcote trained Femme Fireball (9) to win the race. She was up in class, but she acquitted herself well in the Brisbane Winter Carnival. She appears to have come back well from a spell with two wins in recent trials at Doomben. Now she has not won first up before, but I think that she may change that statistic this weekend! Dream Kisses (8) I don’t think appreciated the 1400 metres last start. Tony Gollan has dropped her back to 1200 metres for this run and she has placed on four occasions on a heavy track and won on a slow surface. Maybe the key here is coming back to a distance where she has performed admirably. Jim Byrne takes the ride. The stablemate Scorcha (10) is second up here on a wet track where she has won before. The Open Handicap over 1350 metres. Hingus Rose (6) grew webbed feet last start and destroyed a 1 Metro Win field here on a heavy track. Stephanie Lacy stays aboard with her three-kilogram claim making Hingus Rose will be hard to toss. Just some concern stepping up to Open company for the run this weekend. Courtza King (2) is a solid chance from Gollan Racing. This seven-year-old gelding just seems to keep winning once he has had a smell and a look at the winning stall. He led and won well over this distance and track three weeks ago. He will appreciate the sting out of the ground. Nikitas (8) resumed for his new stable – Munce Racing - last start at the Gold Coast and carried a ridiculous weight. I would not be surprised that we see a massive turnaround in the form on a wet track. Mark Du Plessis is aboard for this second up assignment and he could be a knock out chance. Fortensky (4) has been backed well in the early markets. I am not a fan of this runner so, he will probably come out and win this weekend with Jeff Lloyd aboard and leave egg on my face! A BM 80 over 2000 metres – a tough way to finish off the NSW Early Quaddie. Galtero (11) was impressive three weeks ago over a mile. This week the Gollan runner steps up to 2000 metres for the first time in his career. He has won his last three race starts and looks like he will get this distance easily. He will be hard to toss with Jim Byrne in the saddle. Fairlighting (5) from the Toby Edmonds stable I thought didn’t run out the 2220 metres last start. He drops back to 2000 metres this weekend and will love a heavy track. Ryan Maloney who won the Lismore Cup aboard this mare will ride her forward and will be in the finish. Michael “Muppy” Hellyer keeps his association going with Monaco Snob (6). He has won his last four starts on the Rob Heathcote trained gelding. I am not too keen on this runner on a heavy track, however, the Heathcote stable has been firing of late – and winning form is good form! The Tony Haydon trained Tucano (7) attempted to lead all the way last start and was run down late by Monaco Snob (6). I am not too sure how he will perform on a heavy track. We start the Quaddie this week with Race 7 – it is a long day punters! Last start Bold Chance (3) and I’ve Gotta Nel (10) clashed and Bold Chance won in a desperate photo on the line. 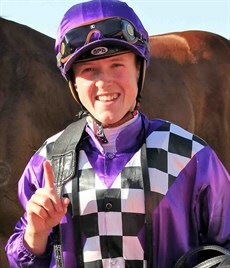 I think this weekend the Barry Lockwood trained gelding I’ve Gotta Nel (10), with apprentice Corey Bayliss aboard and his three kilogram claim, will turn the tables on that last start defeat. I think from barrier 5 Bayliss will take this runner to the lead and should be able to get away with the race. Star of Harada (7) is a mudlark who drops significantly in weight from his last start at Ballina. This lightly raced Haradasun gelding is trained on the Northern Rivers of NSW by Terry McCarthy and will be ridden by Clayton Gallagher. He is third up on a track which he will thrive on – Clayton Gallagher claims three kilograms and the horse is drawn nicely. There is a lot to like about this runner and at $31 he represents great each way value. Bold Chance (3) will look for consecutive wins with Ryan Wiggins in the saddle for trainer Rob Heathcote. Despite having no form on a heavy track this runner has performed well on soft tracks. Freddie Fox Trot, trained by Les Kelly and to be ridden by Ryan Plumb, has no real form on wet surfaces. I managed to find a trial on a slow track where he seemed to get through the going quite well. If the track improves and there is no rain this runner may continue with his exceptional winning form. He is looking for a hat trick of wins since resuming from a spell and Plumb is looking for his sixth win aboard the gelding. A Class 3 race over a mile on a heavy track – the races just get harder on this program. Straight Home (4) is trained on the Gold Coast by David Joice and is to be partnered by apprentice Jackson Murphy. He has a tremendous record on this gelding with three rides for 2 wins and a placing aboard him. He is second up racing over a more suitable distance and I keep going back to the 2018 Grafton Cup Prelude run where he was beaten narrowly in the shadows of the post. I really think he is a nice type and could shape up here this weekend. 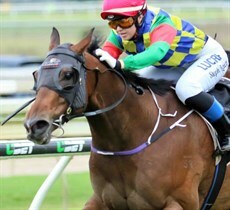 Mymming (9) is a Stuart Kendrick trained runner who won her last start at the Sunshine Coast on a slow track. Matthew McGillivray retains the ride for her first city assignment. She likes the wet surfaces and will be in the placings. 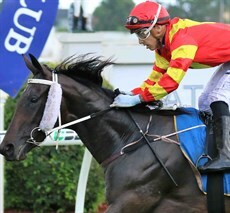 Korodon (7) is a Chris Waller trained gelding who won midweek at the Gold Coast last start over 1800 metres. With that run under his belt he will be competitive here despite having no real wet track form to speak of. Bryan and Daniel Guy keep whacking away with Sweet Adrenalin (12) who goes well over this trip and on wet tracks. This will be the first time in a while she gets a look at a wet track. Look for a dramatic improvement in her performance. Bryneich (5), a Chris Anderson trained gelding, has drawn wide. Last start he flew home over 1350 metres here with Ryan Wiggins in the saddle. The way he motored home he may be looking for the mile distance of this race. There are two exciting runners engaged here. Firstly, there is Plumaro (3), trained by Kevin Kemp in Toowoomba, who made a real impression when she debuted last season and then went on to some very good performances over the Winter Carnival. This weekend she is first up with Dale Smith riding her for the first time. She does resume from an 18-week spell and can miss the start. That is the only risk I have with her here - but if she jumps on terms with them she may destroy this field. The second runner is the Steven O’Dea trained Jami Lady (9) who has had two career starts and won them both well on soft tracks. This is her biggest test to date, however there has been some solid support for this runner since markets have opened firming from $5 to $4. 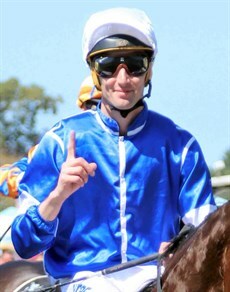 Ryan Maloney has ridden her to both career wins and stays in the saddle this weekend. I cannot separate them so in true WINNO form I am bracketing them to win! She’s Choosie (2) had a good run here last start on a heavy track. That run must be respected, and she gets in nicely with the claim for apprentice Clayton Gallagher who seems to have a nice book of rides this week. Magic Fox (4), trained by Kelly Schweida, resumed with a solid win at Beaudesert nearly 3 weeks ago. I think this runner has plenty of ability and improvement and it would not surprise to see him run a race here. Jimmy Orman has ridden this colt in all his starts. I think he may be one to watch at decent odds! Racecourse Road (7) from Munce Racing is third up this weekend and should be ready to show something. This race is very open and has many chances. I think there is a fair bit of speed in this race and it could play well for the back markers. Something that gets a cosy run and launches late at the leaders. If you can identify that runner please let me know! There are a couple of emergencies here in this race that if they snag a start in this large field could be competitive. Those who are currently not guaranteed a start here are Il Ricccio (17), Intrinsic (18) and Beat The Beast (20). All these runners have form that could see them show up if they get a run! In the end I have gone for the Lismore trained Queen Of Kingston (5), trained by Danny Bowen and to be ridden by Matt McGuren. She won her start last at Ballina in good fashion. She will handle a wet track and I think she gets in well here. With the speed in the race she probably can be ridden back a little than recent starts as she possesses a nice finish and is able to storm home late. Tony Gollan trains Salmanazar (6) who does not win out of turn. This weekend he has drawn barrier 1 whereas some of these more fancied runners have drawn wide. 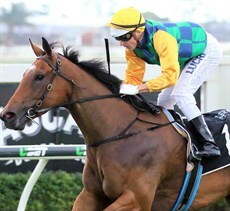 He does have a good record second up with two wins and at silly odds of $16 could represent some nice value in your exotic bets for the last leg. Cedarwood (2) comes back from the mile to the shorter distance – I just cannot catch this runner. Phabeni (3) is an ex Godolphin runner now trained by Terry McCarthy. I remember seeing this runner debut for the new stable over the Grafton Carnival. The run was good, and I always thought he looked like he would need the run after seeing him in the parade ring. Since then he has had a few starts winning last start at Ipswich on a slow track over 1200 metres. I think the longer distance of 1350 metres will be right up his alley and with Clayton Gallagher riding again he will be super competitive. Hidden Gold (13) is a $121 shot in the early markets who seems to thrive second up and loves heavy tracks. Long priced horses seem to run well for Michael Hellyer – be very careful that this one does not fill a placing or win the race and see the bookmakers get the lot in the last! Well it looks an open field this weekend. Dale Smith – Jim Byrne – Matthew McGillivray and Jeff Lloyd all have some decent rides. I am going for Dale Smith to get home – he may be a nice price as well! 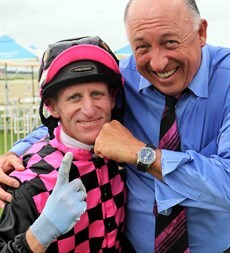 I was looking forward to giving Josh Fleming a towelling last weekend on the wet track at Doomben! Let’s hope this weekend I can finally knock him off his perch. He has been tipping well of late. Remember to check out our last-minute tips and preview on Facebook on Saturday morning after the track and final scratchings have been sorted out!